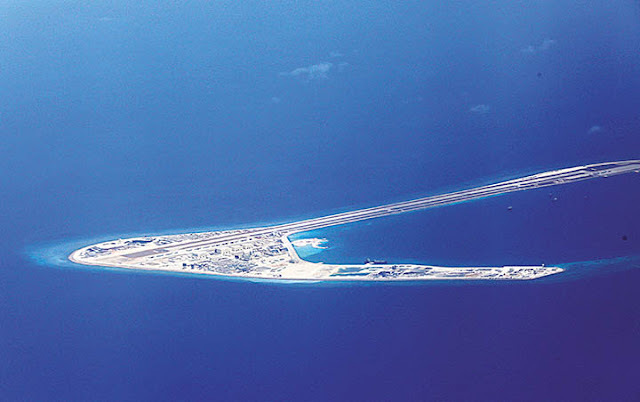 Presidential Spokesman Salvador Panelo said the military has monitored 275 Chinese vessels sailing near the island from January to March 2019, as he questioned the reason behind such deployment. He noted that foreign vessels were “stationary” staying between a day to a week as reported by the military. “I understand we have already issued a diplomatic protest per the western command. The DFA (Department of Foreign Affairs) has already made the diplomatic protest over that incident on the so-called vessels being stationed there,” he said during a Palace press briefing. Panelo admitted that government was concerned about the matter since it involves national security as well as the safety of fishermen in the area. “Anything that concerns the security of the Philippines will always be a concern,” he said. “The mere fact that they are there and they are staying there for a week. Bakit? Ano ginagawa ninyo doon? [Why? What are they doing there? ],” he added. Panelo said he intends to raise the issue about the Chinese vessels when he meets Chinese Ambassador to the Philippines Zhao Jianhua in the Palace Monday. He said he would get the side of the ambassador and “politely ask” China to halt such activity. “We will ask them first why. First, if they acknowledge such fact as determined by us. Number two, ask them why they are doing it. Number three, we will politely ask them not to do what they are doing,” he said. Apart from the Chinese ships, Panelo said he might tackle the plight of the fishermen in the West Philippine Sea amid reports some have been harassed by the Chinese coast guards. As he confirmed the presence of the Chinese ships, Panelo however dismissed a television report stating the 670 Chinese vessels were circling in Pag-asa Island. He relayed to the message of Vice Admiral Rene Medina, commander of the Armed Forces of the Philippines-Western Command (AFP-WestCom), claiming the television report was “exaggerated” after distorting the number of Chinese vessels. The tv report also supposedly used “alarming statement” that the Chinese vessels were circling in the area. The foreign vessels monitored in Pag-asa Island were reportedly Chinese fishing vessels.The vessels however were allegedly considered Chinese maritime militia to bolster presence in the area. The Philippines and China are locked in a dispute over ownership of some islands in the South China Sea. The President however has refused to wage war with China over the territorial dispute and instead decided to pursue bilateral dialogue to manage the conflict.